The prayer cards and chocolates given to all at Sleman’s ordination and first Mass will make simple (and for me, cheap) souvenirs for the my parish staff. 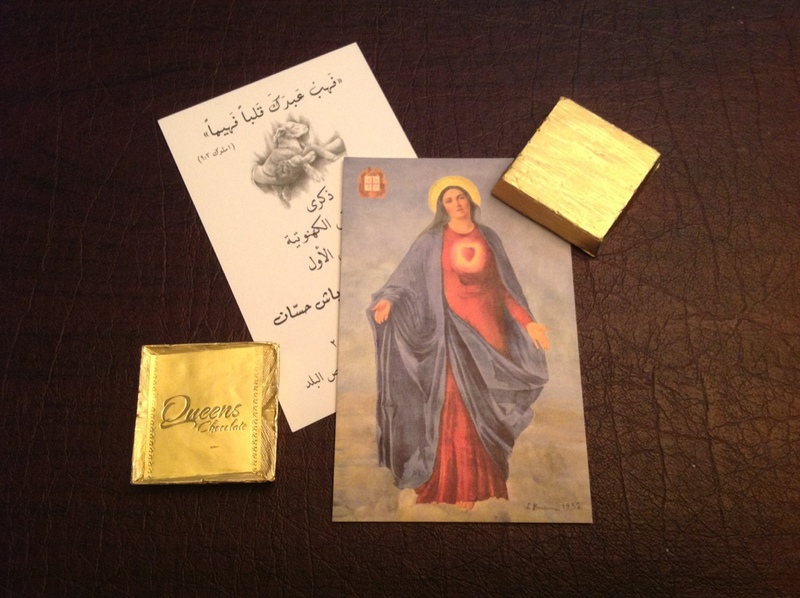 I noticed in the unpacking that the chocolates are “Queen’s Chocolates.” That goes well with the image on the front of the prayer card. Waiting for me at the airport in Cincinnati after my 14 “flying hours” in the plane(s) was my friend Susan. In the car with her she had ham and cheese and bread and milk and bananas and eggs, so that I would have at home something to eat that I like to eat I when return home. The care and affection that I have in my life is much more than I deserve. Susan took me home, put the stuff in the refrigerator, reminded me about supper at their house the next day, on Sunday, for which she was going to make peach pies, my favorite, to celebrate my birthday with the family. Am I blessed or what? After a ham and cheese sandwich, I plopped on my bed with the intention of taking a quick nap, and wound up spending 14 hours in bed. Even though the hours in sleep equaled the hours in flight, my body and mind are still a bit disoriented. But I do have a piece of leftover peach pie to help remember where I am and what I have here! As, with this post, I end this journal of my journey to Fuhais, I am a grateful man. For my last supper in Jordan and the last one of the whole trip itself, we went to a traditional Jordanian restaurant, I was told. When Suhail asked me what I would like to eat, I asked him to order me something “traditional.” He and his friend went round and round with the waiter. To the table came the multiple and tasty salads and what we would call appetizers. Then three plates of what I did not recognize. One was a layered variety of meats, thin bread and sauces. Suhail called it Jordanian pizza. And then this, “Here, you will like this. It is very delicious. and it is special.” When I asked what it was, it was “very delicious, very special.” After a couple mouthfuls and a second helping, “Do you like it? Do know what it is?” It was grilled, slightly mushier than chicken. “Is it brain?” “Yes, sheep brain, it is delicious, isn’t? 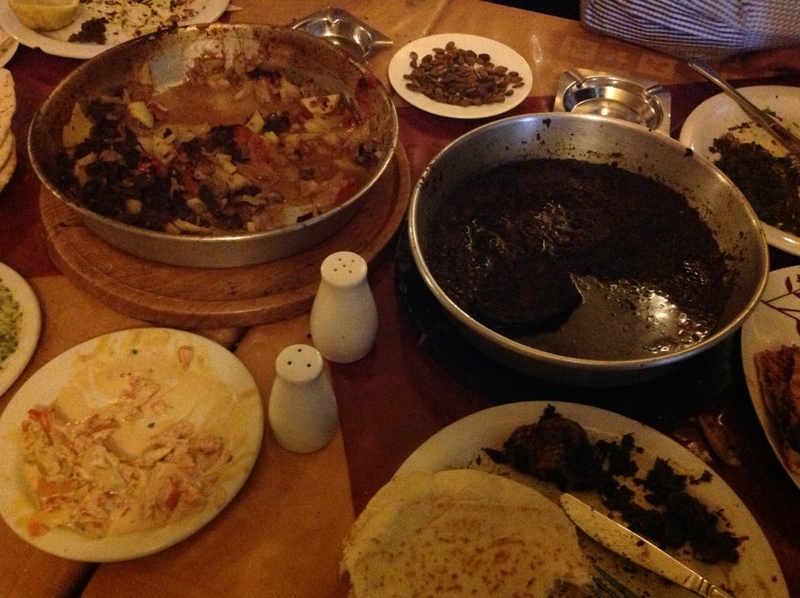 It is a special Jordanian dish?” Then it was, “Do you know what this is?” “Liver?” “Yes, lamb’s liver, very delicious. You will probably want to scrape all of the spices out that are stuffed in the livers; the spices are very hot. The kidneys are very delicious … and good for you, too …. good for iron … they are very, you guessed it, delicious.” You have heard of the suggestion, “Eat first, ask later?” That may depend on your sensitivities. I made sure that, when I got to the airport, I popped in a couple of those pink pills. 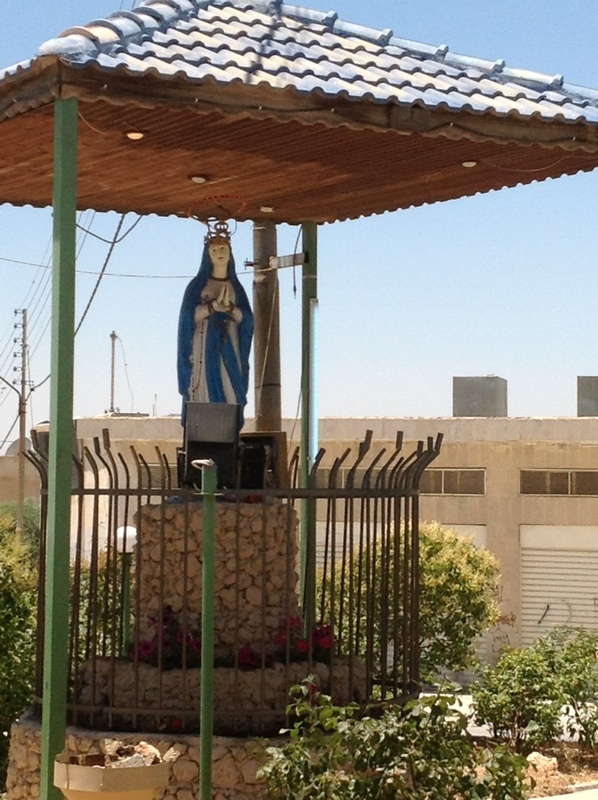 This is the more recently constructed “center” in Fuheis, dedicated to the Lady. 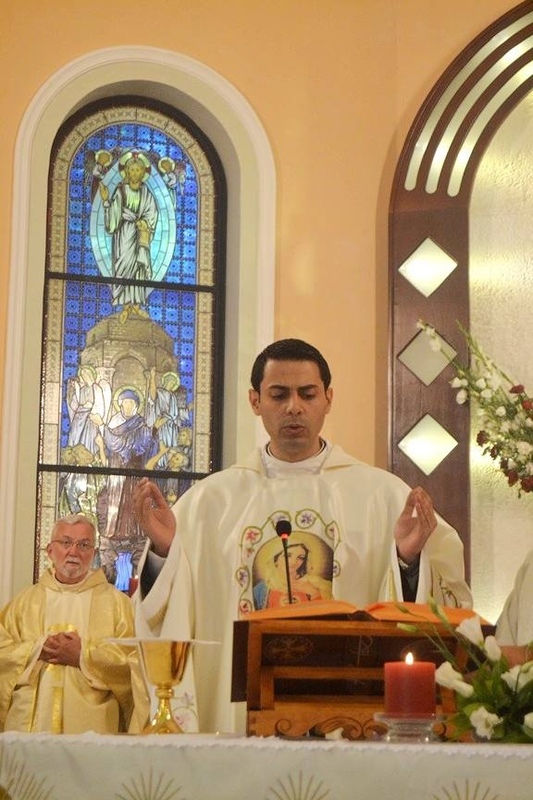 With the first word and first note from his mouth at his First Mass, I turned to Father Faysal, sitting next to me in the sanctuary, “He has a wonderful singing voice.” Faysal smiled and nodded. God’s ears will be delighted to receive back in praise what He has given to Sleman to help him lift up the praise and prayer of the people. 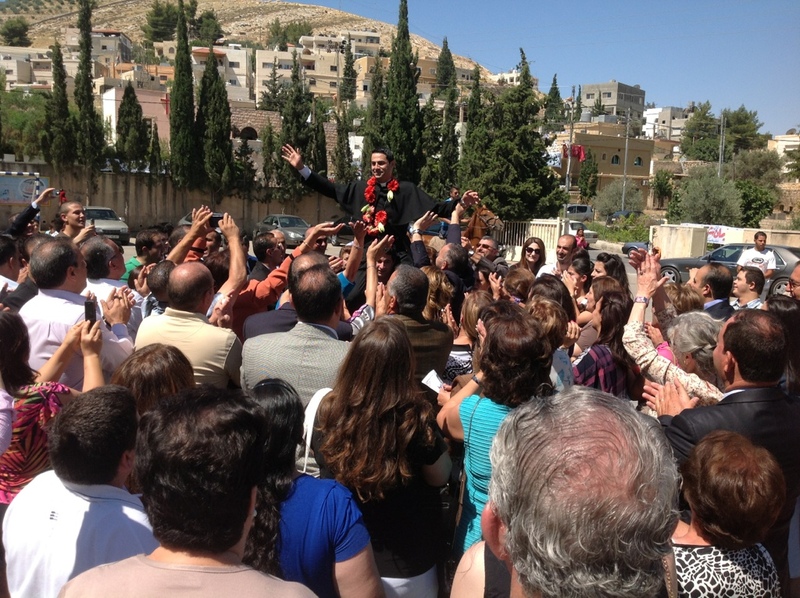 It is the traditional practice of the people of Fuheis, Jordan, to celebrate a new priest from town. We might say that they got carried away. 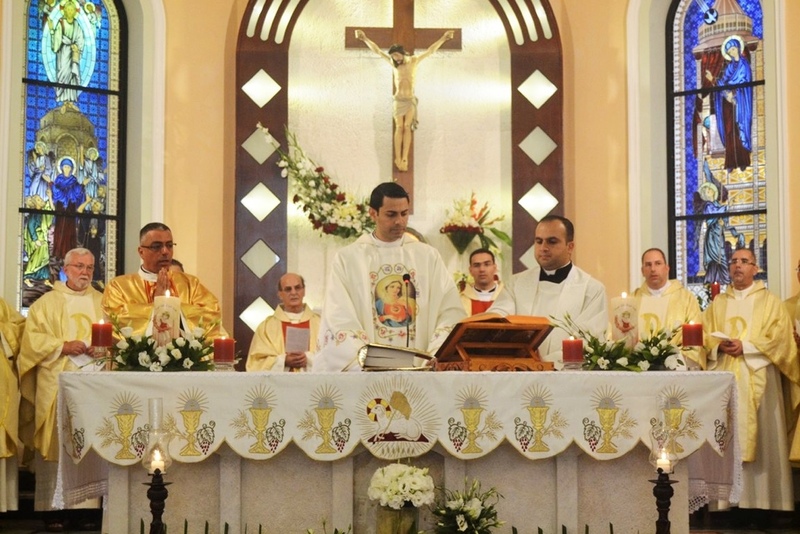 All they were doing was carrying the priest to the church. We get carried say, lifting up a quarterback or a coach, after a win. So why not they? 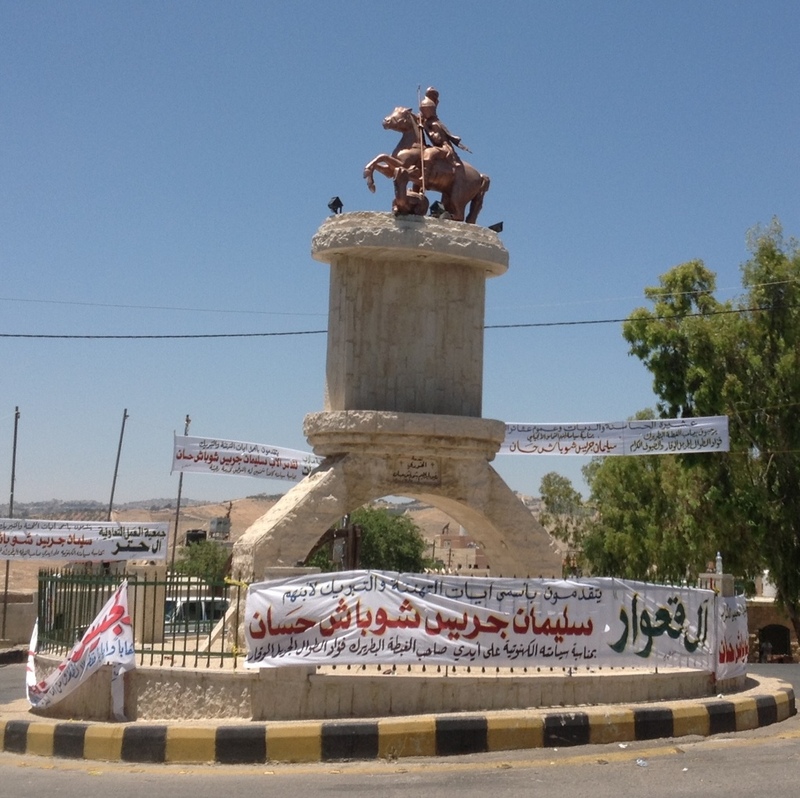 The village of Fuheis won a big one for the Church! It is no wonder they – and Sleman – got carried away. 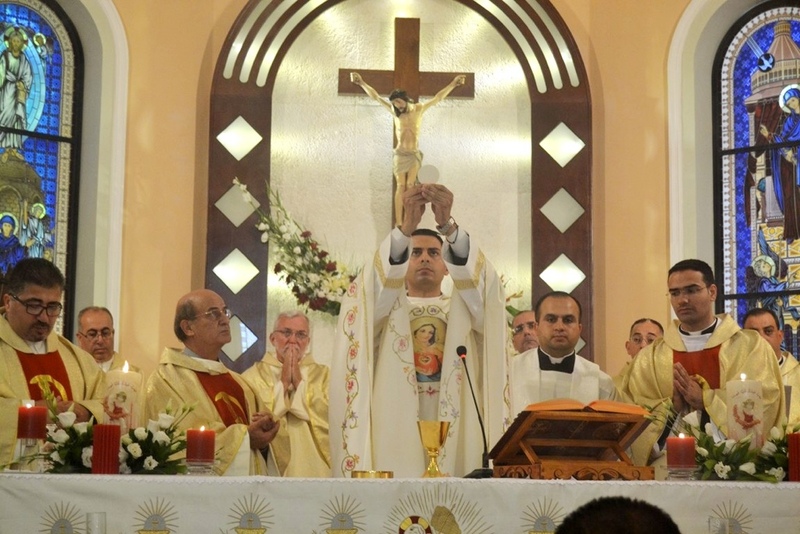 Father Sleman enters the church grounds on the morning of his First Mass.